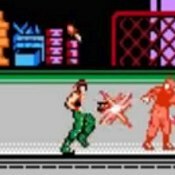 Description: Contra is back in this crazy hack lol. Part 8? Wth, never new they made it so far on the NES lol. Well this is a very rare bootleg, a great one to play for fans of the series!